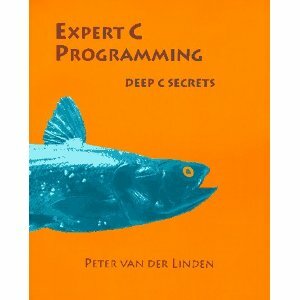 I read a friend's copy of "Expert C Programming" many years ago, and ended up buying a copy for later reference. I didn't quite remember why I would purchase a book I had read already. Recently, I cracked open my copy for the first time: it still had the new book smell. This is the most enjoyable programming book I have ever read. The book is about corner cases and implementation-quirks of C, with a smattering of C++ thrown in. The entire book is divided into themes, and each theme is self-contained in a chapter. Each chapter talks about a quirk of the language, something that good C programmers should be aware of. For example, one chapter talks about the differences between Kernighan&Ritchie C and ANSI C. Each idea is crisply presented, with source code and clear explanation. The chapters are littered with relevant anecdotes, historical background, and tantalizing puzzles. Programming books can be dry and just about the facts. Recent technologies usually come with books that focus on how to get things done. While this is useful, it does not improve the appreciation of the technology. Expert C Programming was written 20 years after the development of the language. Perhaps time leads to some clarity and a light-hearted view of things. Programming is more than just a profession: it is a creative process. It helps to have such books in your shelf: so you can them pick up and remind yourself how fun computing can be.